Through our 180 supplier relationships, we offer a plethora of expense management services to meet your business needs. We start by evaluating your current situation and comprehensively reviewing all aspects of your expense management project goals. We’ll then recommend various solutions applicable to your situation. Short-term and long-term goals are set with milestone checks along the way. What is it costing us to maintain our IT/telecom infrastructure? Do we have real control over our wireless, telecom and data network expenses? Are our wireless, telecom and data network expenses centrally managed? Should they be centrally managed to improve our control of them? Why are we spending the amount on telecom expenses that we are today? What does our IT team typically do? For example, are they able to focus on their core responsibilities or do they get pulled away by “fire drills” that impede our long-term vision? How effective are our IT team’s efforts? What might be preventing them from reaching their highest potential and maximizing efficiencies? Are our management reporting needs simple or very complicated? How does our voice and data network help us to sell or otherwise support our products and services? How does our wireless, telecom and data network expenses total spend affect our bottom line? What can we do to increase our TCO while maintaining organizational performance? Is our IT budget centralized or decentralized? What is the impact of this structure? Are billing discrepancies being fixed in a timely manner? Do we audit our wireless, telecom and data network expenses? If so, who completes the audit and how often? Are we relying on our carriers and service provider to complete our “audits”? We find that while many businesses have an excellent handle on their expenses, most could use an outside, independent perspective since substantial savings opportunities are often missed. For example, we often work with clients who already have a Telecom Expense Management (TEM) provider, but even in those cases, we typically find large savings in areas that the TEM tends to overlook because they just don’t have vast Intellectual Property (IP) within a certain specialty. An example of this is regarding wireless spend optimization: We worked with a large cruise line who had been using a TEM provider for years, but they had “missed” finding the 40% AT&T Wireless bill savings that we were able to propose. The great news was that the savings didn’t require a new contract and didn’t impact end-users at all but rather, it was just an optimization of the cruise line’s AT&T Wireless bill. The reality was that this very large, nationally known TEM provider was good at general telecom expense management, but unfortunately, they didn’t have deep intelligence when it came to the wireless arena. 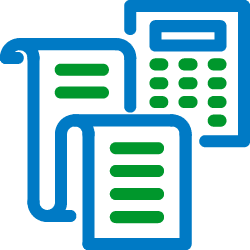 We HIGHLY recommend wireless bill audits since they are a “low-hanging fruit” that can realize substantial savings quickly (usually within 30 days) and only require about two-hours’ time commitment from our customer’s IT person. We’ve been in the industry since 1994 and our firm has been in business since 2006 so please use our experience and intellectual property and we’ll assist and advise you in the process of analyzing your expense management service options. You won’t be disappointed especially since there is zero risk in engaging us since we never charge you a fee for our services.